Congrats on your special day! 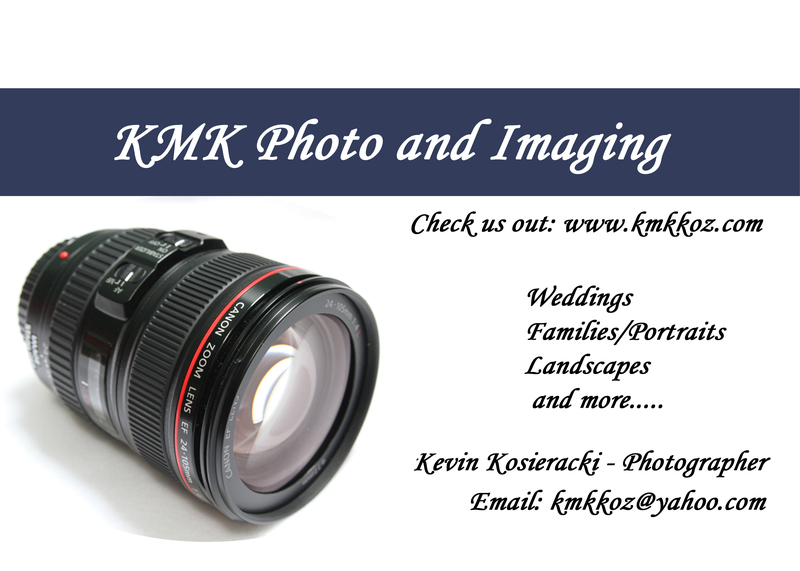 If you are reading this you may need a photographer. I am located in Livonia, just south of Rochester, NY. I specialize in candid shots, and provide many photos that document the entire day, plus the special bridal portraits. For a full day wedding I usually provide over 1500 full size digital photos. I have a great team of three photographers than can provide many options. I am generally available to shoot all aspects of the wedding day, including any rehearsals if appropriate. This would include the bridal party’s hair, makeup, dresses, etc and the groom with his attendants as they get ready. I usually work right up to the end of the reception and would give a large number of candid photos of everything that happens as well as the traditional portraits and ceremony shots. If we come to an arrangement on price I will not add any hidden costs. I do not charge expenses and one price gets everything we agree to. I usually give the bride all the photos on a flash drive in full sized Jpeg format that can then be used to print more at any photo printing website or store. In the days of shutterfly and everywhere else, I find this to be the most economical and you have full control of unlimited use of your photos. I can also provide actual prints of the favorite photos. If you have any questions please ask, especially if I can be more clear on any of the information above. I enjoy shooting weddings and meeting couples excited about their big day. If I can be of any other help in your wedding planning also please ask. I also know some great DJs and other wedding professionals that I can vouch for. We can design and create cards and media of all types.